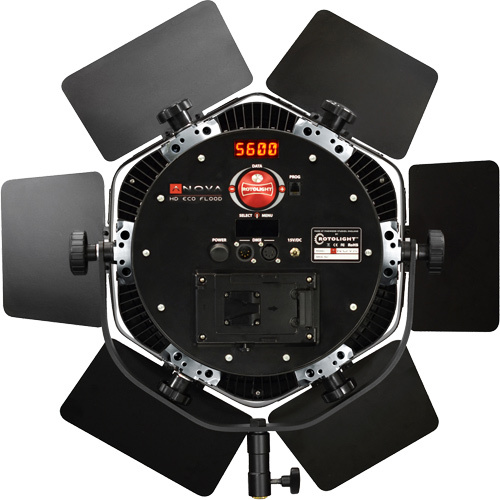 Rotolight’s Anova Pro BI-S LED Light features advanced AccuColour and CINESFX technology empowering you to compete with the best. With the development of colour phosphor technology - AccuColour - rendering colour accuracy has become increasingly possible, moreover important. 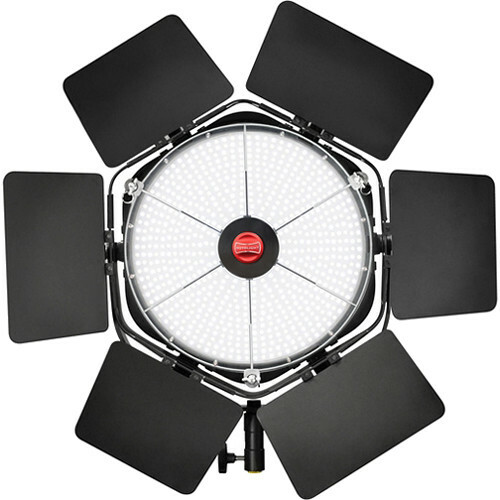 Rotolight’s Anova Pro BI-S LED Light empowers you to compete on-par with the best. Its powerful Bi-Colour LED fixture has an impressive 2770 lumen output at a distance of nearly one meter using only 48W of power, saving 94% more power than a tungsten light of similar brightness. The Anova Pro is even more tech-savvy than that: Thanks to CINESFX technology, it impresses with a host of unique effects, including Strobe, Lightning, Fire, Cycle, Throb, Police, TV, Spin, Weld, Spark, Film, Neon and Gunshot. Better yet, sync your still camera to the Anova Pro for use as a studio strobe. The Anova Pro is also post-production friendly, with the Designer Fade mode providing custom fade up/down interview or production effects for DSLR photographers and experimental cinematographers. In addition, the True ApertureAPERTUREAperture, shutter speed and ISO form what is known as the exposure triangle in photography. Aperture refers to an opening inside the lens, similar to the iris of your eye, that changes in diameter to control the amount of light that enters a camera. Aperture is expressed in f-stops: the lower the number, the larger the aperture, e.g. f/1.4 is larger than f/8. A larger (or wider) aperture allows more light to pass through the lens to the sensor (film) as a picture is taken, particularly useful in low-light conditions. A larger aperture also produces a shallower depth-of-field, and thus more background blur. Dimming calculates and displays the correct aperture for your subject at a given distance, facilitating your workflow by eliminating the need for metering. Alternatively, you can set your brightness level manually for your preferred aperture. The Anova Pro is powered by its universal AC adapter or by optional V-Mount batteries when mains power is unavailable.